Kenny Werner and Claudia Villela will perform new improvised music with a Brazilian flavor inspired from their duo CD Dream Tales. For Villela and Werner, music is a spiritual exercise to be embraced openly, without premeditation. 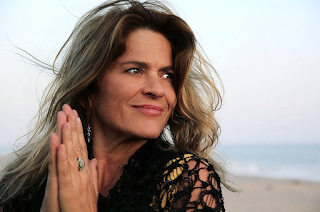 Vocalist, pianist, percussionist and composer Claudia Villela's talent for musical exploration knows no limits. Growing up in Rio de Janeiro, she absorbed the sounds of Brasil all around her: Samba, Bossa Nova, Partido Alto, Choro, Baião, Maracatu, as well as influences of music from all over the world, Jazz, from traditional to classical to avant garde. Kenny Werner is one of the premiere jazz musicians on the planet as well as a Grammy-nominated composer and the founder of the The Effortless Mastery Institute at Berklee College of Music. His prolific output of compositions, recordings and publications continue to impact audiences around the world. In 1996 he wrote his landmark book, Effortless Mastery, Liberating The Master Musician Within. Werner has since created videos, lectured world-wide and authored many articles on how musicians, artists or even business people can allow their “master creator” within to lift their performance to its highest level, showing us how to be spontaneous, fearless, joyful and disciplined in our work and in our life.